The number of smartphones and tablets running Google’s Android Gingerbread software has eclipsed that of its predecessor, Froyo, for the first time, nearly a year after the updated mobile platform was released on the new Google Nexus S smartphone. Remaining transparent as possible as to how the market stands in terms of Android software use, Google regularly updates its Android Developers portal with statistics for app developers and designers, giving them the chance to tailor their apps depending on the version of Android installed on user devices. In the latest update, Gingerbread now holds a 44.4% combined share, including the incremental updates between the Android 2.3 and Android 2.3.7 releases, up from 38.7% a month earlier. Google’s Android 2.2 software (Froyo) still retains a large share but has slipped from 45.3% to 40.7%. Despite being released in October 2009, Android 2.1 (Eclair) still retains a 10.7% share of devices accessing the Android Market, suggesting that either carriers in some countries have neglected to update devices on their networks, the devices do not support updates, or that users simply don’t care about upgrading the software on their smartphones. Google’s tablet-centric Honeycomb Android release holds just under a 2% share. Google has come in for some intense criticism of the fragmentation of the Android platform, with too many updates being released for devices that take months to reach an owner’s Android smartphone. To reduce fragmentation, Google lengthened the time between updates, further shifting its strategy with the announcement of its new update – Ice Cream Sandwich. 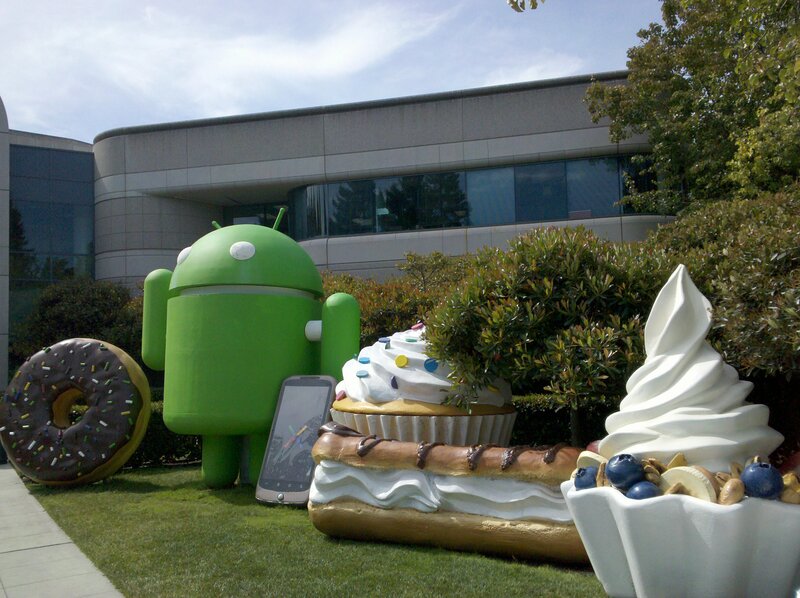 Ice Cream Sandwich (Android 4.0) will be a single release that is specifically tailored for smartphones, tablets and its TV platform, making it easier for users, carriers and developers to better understand and support the new software. The new software will debut on Google and Samsung’s new smartphone, the Galaxy Nexus – launching November 17.